On this fascinating Jeep, Safari expedition will take you from the thousands of miles above civilization, two states, enthralling mountain passes that positioned higher than 4000 meters above the sea level, 3- UNESCO world heritage sites and numerous noteworthy high altitude lakes. The Trans- Himalaya expedition is a journey on which the best of this picturesque republic untangle along the way. On this pleasurable expedition, you will get the pleasure of enjoying the birds-eye view of the rocky spectacular panorama of the Himalayan Range- an infinite chain of the extremely large glaciers and jagged snow-covered towering peaks. Those who want to explore the incredible Himalayas and experience an adventurous journey should opt for this Trans- Himalayan jeep safari expedition, which cover up the most rustic and charismatic area of Himachal and Jammu & Kashmir. The Trans- Himalayan roads networks are a major example of how the everyday business of laying roads has been elevated to high art here. Driving on these far away mountain slopes can at times give the experience of immense liberation and sometimes it may be a nerve-wracking experience. This adventurous, enormous, yet celestial expedition will commence from Delhi, the capital of India with various ancient buildings, antiquated architectures, and prehistoric shrines. After Exploring and spending some time visiting the attractions in Delhi, you will catch the Shatabdi train from New Delhi Railway Station departing for Chandigarh. 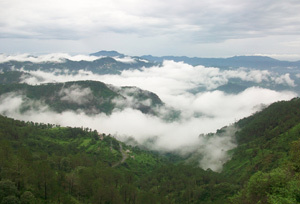 After a short a delightful sightseeing tour in Chandigarh, you will head for a drive to Shimla. It is ahead of Shimla roads that the roads gain a bit slope. As the roads incline upwards, the temperature, diverse forest of pine, and deodar lined up alongside on the way. Ascending further up on the journey more typical jungle takes over. Most fascinating part of the expedition starts from Shimla as you will cross many high altitude villages like Kufri (2,290 Meters) and Narkanda (2,708 Meters) to reach Sarahan, a charming village located at an altitude of 2,313 Meters. On the next day, you will begin the journey towards Sangla in Kinnaur passing through Karcham village. Further, you will also visit Kalpa, the last hamlet located near on the Indo -China border, by way of Rakcham Village and Mastrang. From Kalpa, you can get the apparent view of incredible Kinner Kailash range, certainly one of the most impressive vistas you can witness anywhere else across the globe. The 8th-day of this jeep safari expedition for you is going to be pleasurable scenic treat as you pass through a few high altitude villages to reach Nako, which is supposed to be created by the Lord Padmasambhava while he was explaining a fairytale to his disciple. By far, you have traveled around and experienced the best regions of Himachal Pradesh, but still there is so much which is yet to be explored. After exploring the exquisiteness and richness of Nako, you will head towards the antiquated yet peaceful town called Tabo. In Tabo, you will spot colorful mantra- emblazoned Buddhist flags fluttering in the strong, cool wind, with various notable monasteries in the foreground and the fascinating backdrop of the soaring peaks- a delightful segment of mountains and spirituality. After the wonderful tour to Tabo, you will visit the verdant green Pin Valley, which has been the favorite spot of the trekkers for decades. In the next few days of this expedition, you will visit some of the most prominent monasteries, mountain passes; scenic high altitude villages till you reach Keylong. 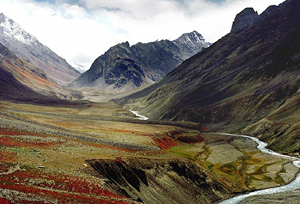 Also, on the trail, you will pass through a small village Sarchu, which is located on the border between the two states Himachal Pradesh and Jammu & Kashmir. 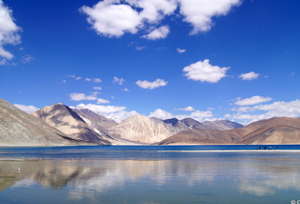 After reaching Kashmir, you will have to cross a sequence of scenic places like Tsomoriri and Tsokar, to reach Leh- small in size but gigantic in beauty. Leh is well-known for its small monasteries like Namgyal Shemo Gompa, Shanti Stupa, Leh Palace, and Sindhu Ghat and the Pangong Lake. 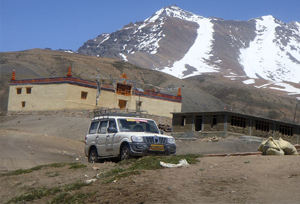 As you reach Leh this adventurous Trans- Himalaya jeep safari expedition come to end. In the morning from the New Delhi Railway Station board the New Delhi -Chandigarh Shatabdi Express. Upon your arrival in Chandigarh, after visiting some prominent the attractions of the city, we will drive towards Shimla. We will have delicious dinner and stay overnight at the Heritage Hotel in Shimla. This entire day is all meant for leisure. You will go for a sightseeing trip to Shimla and explore various attractions like Indian Institute of Advanced Studies, Scandal Point, Jakhu Temple, Kennedy House, Mall Road, Gorton Castle, Railway Board Building, and Gaiety Heritage Cultural Complex. We will have scrumptious dinner and stay overnight at Shimla. After having healthy breakfast, start the first day of your Trans- Himalayan Jeep Safari expedition. The first stopover of the journey will be Sarahan. On the way, we will pass through Narkanda (2708 Meters) and Kufri (2,290 Meters) to reach Sarahan. We will reach Narkanda by crossing many ascend by car from Kufri of about a distance of 45 Kilometers. After having tea on the way, we will continue the journey and drive downwards towards Rampur, which is situated near on the banks of Sutlej River on the Old Hindustan Tibet Road. We will have delicious dinner and stay overnight at Sarahan. Start this wonderful day with an impressive view of the Mt. Shrikhand Mahadev (5227 Meters). This day in the early morning, we will be visiting the Goddess Bhimakali Temple located in Sarahan. According to the legends, this is the place where the Goddess Shakti destroyed Bhasmasur. Also, you can visit the Pheasant Breading Centre and the outdoor stadium. After having wholesome breakfast, we will start the journey towards Sangla in Kinnaur. For a few kilometers, we will follow the Sutlej River until we reach Karcham, a small village which is famed for its monasteries and dam. After a short trip to the Karcham village, we will drive in the direction of the Baspa valley from where Sangla is located at a distance of approx. 17 kilometers. Later in the evening, you can go to explore Sangla together with the Kamru Fort. We will have dinner and stay overnight at Sangla. 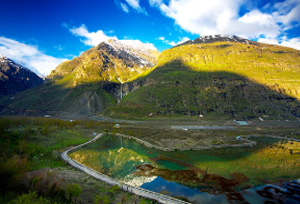 Start this wonderful day with a gorgeous smile and a delightful view of Sangla. Today in the first half of the day, we will be driving towards Chitkul, which is the last hamlet located on the borders of India & China, on the way we will pass through the Rakcham Village and Mastrang. Afterward, we will continue the drive in the direction of Kalpa through Karcham. 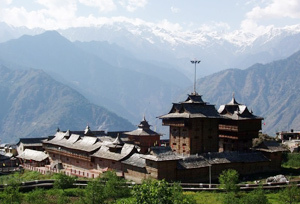 Which at once used to be the one of the favorite spots of Lord Dalhousie, Kalpa houses numerous people who belong from the Buddhist and Hindu communities. 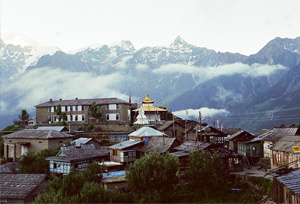 From Kalpa, one can see the picturesque vistas of the incredible Kinner Kailash range (8,848 Meters). We will be having delectable dinner and stay overnight at Kalpa camp. This day wake up early in the morning treat your eyes with the incredible view of the spectacular Kinner Kailash Range. Prior to starting today's journey, we will visit the Devi Kothi temple and take blessings of divinity. This ancient temple is quite prominent for its impressive antiquated architecture, silver plated doors and wonderful wooden carvings. On this day, we will pass through Pooh, Reckong Peo, and Khab, the junction of the Satluj River and Spiti River, to reach Nako village which is at an altitude of (3662 Meters) located in the Kinnaur district. 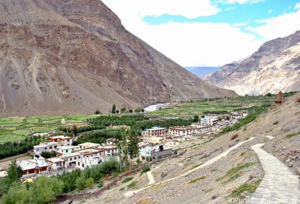 Nako is a small village famed for its notable monasteries and lakes; it is believed that this village was formed when the Lord Padamsambhava was explaining about a fairytale to his disciple. We will be having stay tonight at Nako. After exploring and visiting the notable monastery in the Nako region, we will commence the journey and drive towards Tabo passing through Maling and Sumdo. On the way of the journey, we will pass from a village called Tashigang, which is supposed to be the meditation ground of the Guru Padmasambhava. Just a few miles from the Tashigang there are several spectacular caves and small waterfall, which is dubbed as the residence of the fairies. After you reach Sumdo will have to obtain the permit so that you can travel and visit in the further area. 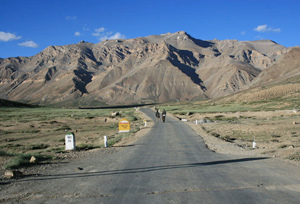 Due to its proximity to the China border, this region remains under the high vigilance of the army. After a strenuous drive of about 100 kilometers from Tashigang, you will reach Tabo. On arrival in Tabo, you will transfer to the hotel. In the latter half of the day, we will visit the group of monasteries, which were believed to be established in 996 AD. This monastery still has and preserves its original decorations and marvelous art images intact. It is considered to be the oldest constantly functioning Buddhist monastery located in India and the grand Himalayas. This Buddhist monastery is also widely well-known as the 'Ajanta of the Himalayas'. We will be having delectable dinner and stay for overnight in the Hotel at Tabo. On this day in the morning, we will go to explore the noteworthy caves in Tabo, where once the great sages used to meditate and pray. After having healthy breakfast, we will set forth the expedition towards the Pin Valley passing through the Dhankar Monastery. 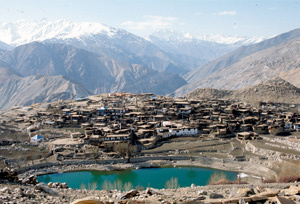 In the seventeenth-century, Dhankar was the capital of the Spiti Valley Kingdom, Dhankar was the seat of the rulers of Spiti Valley, the Nonos, who had the right to cultivate on the nearby government lands and need to maintain the fort in repair. Located at an altitude of 3,894 meters [12,774 ft] in the Spiti Valley between the Tabo and Kaza, the complex of the monastery (Gompa) is positioned on 300 meters extensive ridge, overlooking the convergence of River Pin and River Spiti. After exploring and spending some time at the magnificent Dhankar Monastery, we will go for a drive towards the Pin Valley passing through Kungri, yet another notable monastery located in the region of Himachal Pradesh. After the visit to the monastery, we will head for a small drive towards Mud, which is the last hamlet located in the Pin Valley, from where the trek routes towards Kullu and Kinnaur begins to reach the Pin Parvati pass and the Bhaba Pass. Afterward, we will return back to our camp located in the Pin Valley (Gulling) where we will be having scrumptious dinner and stay overnight. Today, in the morning we will be crossing the river at Attargu and then drive for a distance of about 14 kilometers to reach the Lhalung Monastery situated in Lingti Valley. The people of the Buddhist community call this Monastery the Golden Temple; Lhalung Monastery is one of the ancient monasteries established in the Spiti Valley in the late 10th century CE by the great Tibetan Buddhist Lotswa, the king of the western Himalayan Province of Guge 'Rinchen Zangpo'. After paying a visit to the impressive monastery, we will proceed and head towards the main thoroughfare to visit Kaza, which is located about 10 kilometers away from the Lhalung Monastery. We will be staying tonight at a hotel in Kaza. After having healthy breakfast; start the today's trail and drive towards the Kee Gompa, followed by a tour to the Kibber Village, Komic, Langza, and Hikkim. This day, we will be visiting the biggest monastery of the Spiti Valley, the spectacular Kee Gompa, Hikkim and Komic, the highest villages of the world connected with the motorable road. After spending a day exploring the prehistoric monasteries of the Spiti valley and the striking surrounds, we will return back to Kaza hotel. We will be having scrumptious dinner and will stay tonight at Kaza. This day after having healthy breakfast in the early morning, get ready for today's trail. Today we will drive towards Keylong on the way passing through Losar, Hansa, and Takche. After covering a few kilometers on the trail, we will start driving up to the hill towards the Kunzum Pass and thereafter reaching a certain point; we will start moving downwards towards Batal, a little village situated near on the riverbed of Chandra. Later from Batal we will start to move forward and follow the stream for about 36 kilometers until we reach Chatru. Afterward, we will halt at Koksar for some time for the tea and registration of the passports. Thereafter, traveling for a few miles, we will reach Keylong on the way crossing various villages of the Lahaul Valley and also the point where the River Chandra and River Bhaga meet at Tandi. We will have luscious dinner and stay tonight at Keylong. Today in the morning, we will start driving upwards to reach the spectacular Kardang Monastery. After exploring and spending some time at the monastery, we will drive downwards in the direction of Sarchu by way of Jispa and Darcha. 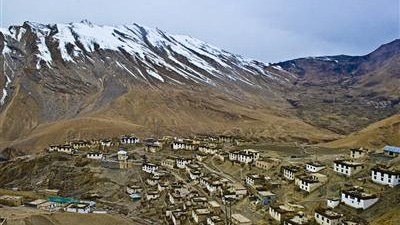 A journey of another 33 kilometers of moderately rougher and uneven road takes you to the busy small village of Sarchu, which located close to the border between the states two states Jammu & Kashmir and Himachal Pradesh. Tonight we will be staying at the fixed camps. After having healthy breakfast, we will start today's trail and drive in the direction of Tsokar passing through Nakee-La Pass located at an altitude of (4800 Meters), Lachalung La Pass (5,059 Meters), Whiskey Nallah and Moray Plains. We will have delicious dinner and stay tonight at Tsokar. Wake up early in the morning to witness the impressive landscape in the region of Tso kar or the 'White Lake', this area is known to be a prominent habitat of the animals like marmots, Tibetan blue sheep, red foxes and several varieties of the birds. After spending some time and some sightseeing, we will move ahead and go for a 2- hours drive towards Tsomoriri, which is about 70 kilometers away from Tsokar. We will have delicious dinner and stay tonight in a camp at Tsomoriri. After having healthy breakfast, brace yourself for 48-kilometers long drive towards Leh by way of Sumdo. The highlights all along the way to Leh are the fabulous mountain pass of Namshang La at an elevation of (4800 Meters) and the charming village of Puga. Further from Sumdo, we will drive for another 22 kilometers to the village of Chumathang, which is well- known for its hot water sulphur springs. Thereafter, again long ride of about 90 kilometers beside the Indus River from Chumathang towards Upshi, a check-point for permit checks and tolls. From Upshi, we will ride for a distance of about 51 kilometers towards the North beside the Indus River to reach our destination Leh. We will have scrumptious dinner and stay tonight in Leh. This day, we will be visiting and exploring some prominent monasteries of located in Leh region like Shey, Hemis, and Thiksey. 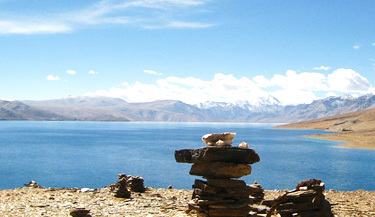 Also, we will visit the spectacular Leh Palace, Shanti Stupa, Sindhu Ghat and Namgyal Shemo Gompa. Today we will begin the trail early in the morning and head in the direction of the East passing through Chang-la Pass at (5,475 Meters) towards Pangong Lake (4,267 meters). It will be a journey of 145 kilometers / 5- hours in one direction. We will have delicious dinner and stay tonight in Leh. Today in the morning, you will transfer to the Leh Airport and from there board the scheduled flight for Delhi.